I think we can all agree that wine is a thing of real beauty. Whether sitting mysteriously inside a bottle, poured into an elegantly-shaped decanter, or swirling around a simple wine glass, it’s a drink which really shows off a rainbow palette of colors, and for wine lovers, it’s something impossible to grow tired of looking at. When we’re tasting wine, or trying a new wine for the first time, it’s easy to forget about taking the time to look carefully at those colors, and consider what they might represent or lead to. After all, our noses and mouths are eager to get in on the action, and explore the aromas and flavors held within. 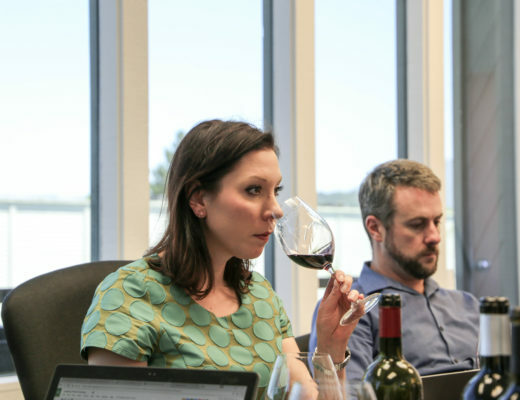 However, using your eyes is an important part of the wine tasting process; not only is it a way to heighten your appreciation of the unique properties of a particular wine, it’s also a great way to prepare your other senses for what’s to come. 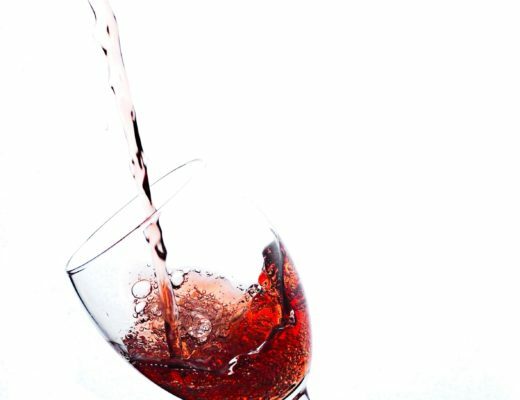 Many professional wine drinkers will insist on holding their glass up against a light box, or against a white background. While this probably is the best way to take in the fullness of the wine’s color, we’d argue that it’s not entirely necessary for the vast majority of us. 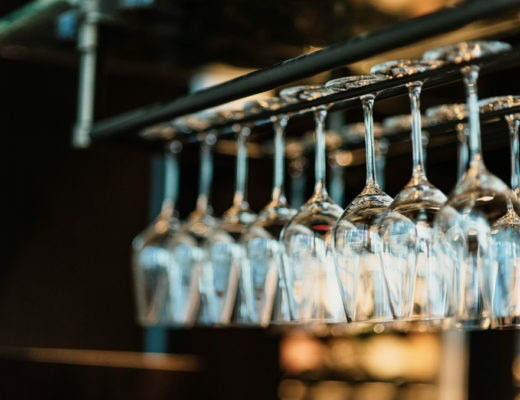 Simply hold your glass up to the sunlight, or in a place where you can see clearly (dark and murky wine bars probably aren’t the best bet in this regard), and allow whatever light source there is to play on the glass. It’s all too easy to think of wines as coming in three main colors: red, white, and pink. However, once you start exploring the full spectrum of wines and their colors, you’ll realize there’s far more to discover. Wine ranges from the palest greens, yellows, and rose hues, and goes all the way through to the darkest, inkiest, deepest purples and reds – it’s an absolutely fascinating thing to take in, and once you begin really looking at wine, it’s difficult to resist doing it each and every time. 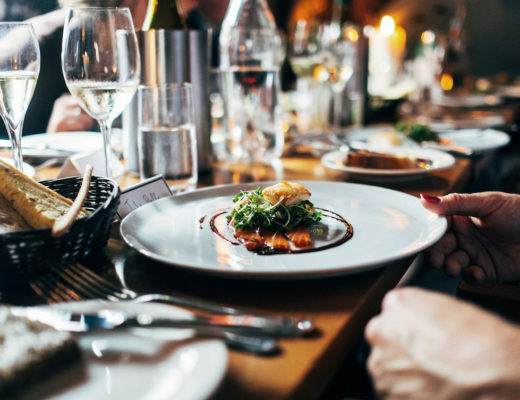 Take a moment to appreciate the tones of your wine, and try to commit to memory the sorts of colors and intensities associated with particular grapes. Admire and appreciate it for a moment… it’ll make the eventually tasting even more rewarding. Looking at your wine isn’t just about admiring its beauty – it’s also a great way to anticipate what to expect from its character and flavors. Our brains actually associate certain colors and shades with flavors and intensities, and we can even be tricked into believing we taste something as a result of particular colors being present. As a general rule, the color of a wine comes from chemical compounds found in the skins of the grapes. 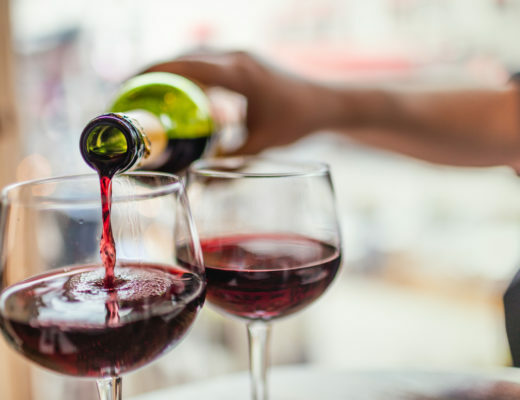 If wines were made with no contact with their skins at all, even the most classic red wines would end up being colorless – just consider the fact that Champagne is made from almost equal quantities of white grapes (Chardonnay) and red ones (Pinot Noir and Petit Meunier). Because the juice of the red grapes in Champagne are processed away from the skins, the color we’d usually associate with Pinot Noir simply isn’t present. As such, we can say that a wine’s color is stronger and more intense the more contact with its skins it has had. Of course, other factors must also be considered – color is also imparted from oaking, and certain grapes have a more intense or distinct color than others. Let’s take a moment to consider what certain colors or intensities of color represent in different wine styles. First of all, take a look at the shade of yellow present in your white wine. Is it very, very pale – to the point of almost being clear? Is it a more substantial shade of yellow? Or is it a deeper, richer color, more like straw, honey, or gold? The lighter and paler a white wine is, the less contact it will have had with its skins. These wines tend to be bright, crisp, acidic and refreshing – perfect for sipping on a hot day, or accompanying a fresh salad or similar dish. More intensely colored white wines will most probably have seen some barrel aging. From these, you can expect to encounter fuller, more rounded, rich, and mellow flavors, with plenty of oak present on the palate. Red wines really follow a similar pattern when it comes to color. When you hold your wine up to the light, what can you see? Is it deep and murky, even opaque? Is it bright and relatively clear, bursting with cherry reds and scarlets? Lighter, brighter red wines tend to be ‘fresher’, and full of tart, summer fruit flavors as less spiciness. This will be because they are unlikely to have seen much time in the barrel, and have been designed to be considerably more fruit-forward in their flavor. Deeper, darker red wines are more likely to be more complex, and full of dark, plummy, hedgerow flavors beneath layers of spice. They’ll have been oak aged quite considerably, which allows them to be more rounded, smoother, and featuring far more secondary and tertiary flavors. So, there you have it – next time you pour yourself a glass of wine, take a good look, and see if you can correctly guess the wine’s character from its color!